Over/Under: Over 158.0 at 1.90 Bet Now! It is not as if the final Istanbul derby of the Euroleague Top 16 needed extra spice or intensity but this is looking like a massive game for both teams. The hosts have a playoff spot and home-court advantage in the bag but after they lost by 30 points last week, they need to bounce back. It is a do or die clash for the away side, which means that there is all to play for. There was a shocking reversal for Fenerbahce last week, but this shows how a team can drop when they achieve their primary objective. 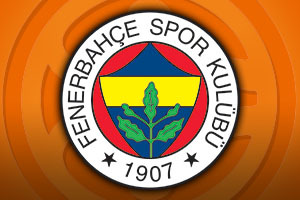 This is likely to lead to a backlash this week, and given that Fenerbahce have won their last 18 home games in Europe, they will be looking to drive on once again. When the two sides last clashed in Europe, Bogdan Bogdanovic and Ekpe Udoh both grabbed 15 points and they’ll be looking to do the same damage again. When you take on board that Jan Vesely is injured and Pero Antic is returning from injury, these are key players who need to deliver a big performance for the hosts. 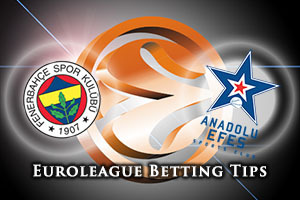 Even leaving aside the importance of Euroleague qualification, Anadolu would love to be the team that stops Fenerbahce’s tremendous home form in Europe. However, Efes know that they need to win while hoping for Panathinaikos or Crvena Zvedza to slip up. There will be a lot of expectations placed on Alex Tyus, Bryant Dunston, Derrick Brown and Dario Saric in this game. The Turkish basketball fans love a local derby so you can expect this game to be played out in a tremendous atmosphere and the Efes players would love nothing more than to silence the home support. The bookies think the hosts will bounce back after last week’s mauling and you can take Fenerbahce Istanbul at -4, at odds of 1.90. For the Over/Under market, look to go OVER 158.0, which you can find on offer at odds of 1.90 for this Friday night game. Bet Now!